With the long, dark dreary months behind us, it’s time to lighten up the menu a bit and break out the chicken recipes. Time to put the slow-cooker away and the heavier recipes for stews, soups and goulash back on the shelf for awhile….After all, Spring has Sprung! It’s time for fresh flavors. 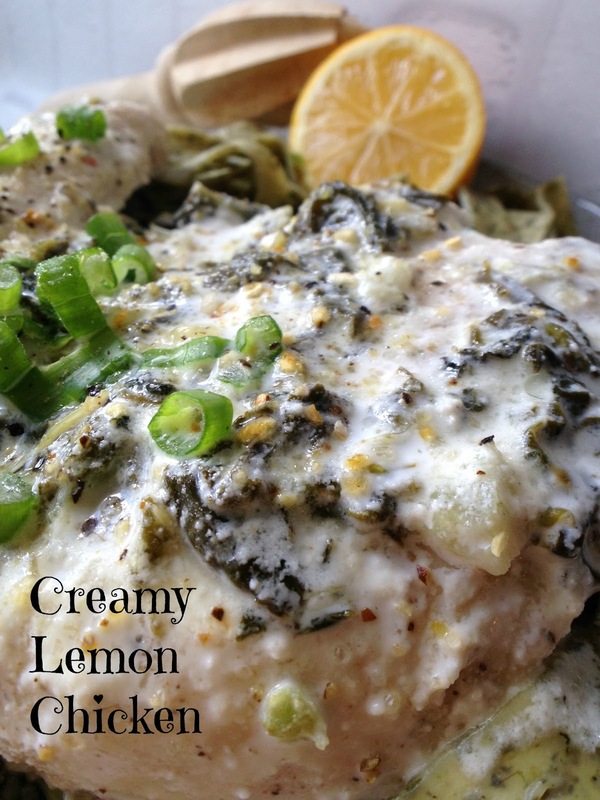 Creamy Lemon Chicken is everything your looking for. Meyer lemon juice, lemon-pepper seasoning, capers and fresh parsley. 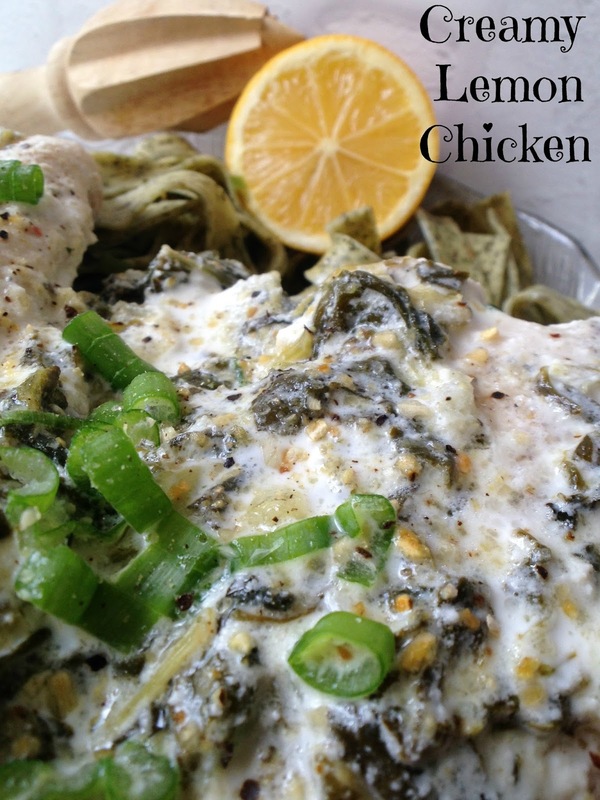 This is one of our favorite ways to prepare boneless, skinless chicken breasts. 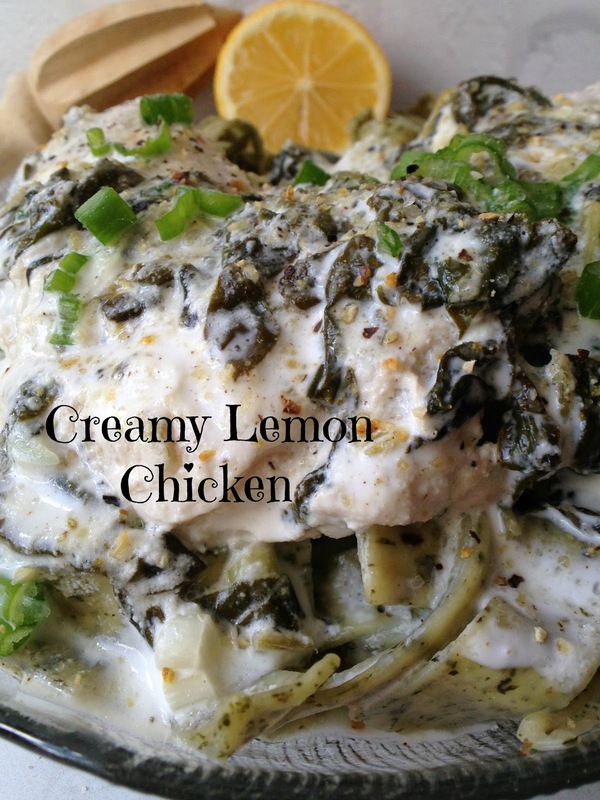 lemon-pepper seasoning, Meyer lemon juice, chicken broth and heavy cream are combined with chopped spinach to make a delicious, creamy, lemony chicken dish. We like serve Creamy Lemon Chicken over a bed of cooked Artisan garden-herb tagliatelle pasta. Artisan style pasta has become increasingly easy to find in stores. Most, if not all grocery stores, specialty food stores, bulk-food stores and super-centers now carry some type of Artisan-style flavored pasta. Here at Turnips 2 Tangerines we love us some flavored pasta….any flavor and/or shape. If you want to lighten up this recipe a bit, you can easily substitute low-fat evaporated milk for the heavy cream. I have made this switch with many different recipes with excellent results. One advantage of using low-fat canned evaporated milk is canned milk obviously has a longer shelf life. Many times I buy ingredients, such as heavy cream, to use in a certain recipe. Often times, for whatever reason, I don’t get around to making the recipe and the carton of heavy cream gets used as cream for my coffee or as milk for my cereal before the expiration date. I really hate having to do that, it’s such a waste of good heavy cream. Heat 2 tablespoons butter and 2 tablespoons of oil in a large skillet over medium high heat. Dredge chicken breasts in the flour, season each side of the chicken breasts with lemon-pepper seasoning. Place the chicken breasts in the skillet. Cook for about 5-8 minutes on each side or until cooked throughout and no longer pink inside. Remove from the skillet and set aside on a plate. Turn the heat to medium low. Add broth, juice from lemons, heavy cream, and capers. Bring the sauce to a boil, reduce heat to medium low. Test the sauce and season with salt and pepper as needed. Allow the sauce to cook and bubble for about 3 mins. Return chicken breasts back to cream mixture. Cover and cook on medium low for 15 minutes or until chicken breasts are cooked through. While chicken breasts are cooking, make pasta according to package directions. Serve chicken and sauce over cooked noodles. 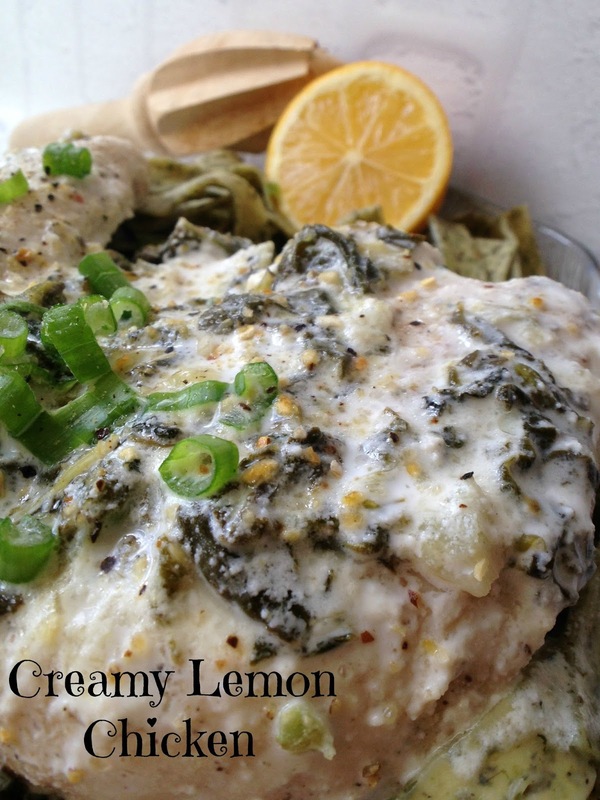 Creamy Lemon Chicken will be a recipe that our family will love! Hope you are having a great weekend and thanks so much for sharing with us at Full Plate Thursday!